Inferior faucets endanger health as much as "melamine"
The 18th China (Shanghai) International Kitchen and Bathroom Facilities Exhibition, which is known as the â€œOcean Bathroom Oscarâ€ and regarded as the domestic kitchen and bathroom industry weather vane and barometer, opened in Shanghai a few days ago. It is reported that the biggest highlight of this exhibition is the health, sanitation and safety upgrade of the sanitary industry. The new faucet products made by lead-free stainless steel materials, such as Supor and Kohler, have become the most popular news in this kitchen and bathroom exhibition. According to industry insiders, with the implementation of the US lead-free bill and the focus of the US Building Materials Association on lead-free regulations at this exhibition, the industry upgrade storm facing China's faucet industry may come. It is reported that the United States officially signed the lead-free bill on January 4, 2011, requiring the lead content in pipelines and products in contact with drinking water in various states of the United States to be reduced from 8% to 0.25%. The bill has been implemented nationwide since the date of signature. The EU, Japan, and the United Kingdom have also introduced similar laws and regulations. Although China has also formulated a new "Sanitary Standard for Drinking Water", there is no clear regulation on the lead content of faucets. At this exhibition, Supor took the lead in exhibiting the lead-free faucet, which became China's first â€œzero leadâ€ faucet, which attracted attention from all walks of life. It is understood that lead is a trace element required by the human body, but once the lead element is ingested, it will become an invisible killer that harms the health of the body. Children's sensitivity to lead is particularly strong. The lead content in 100 ml of blood is 50-60 micrograms, which is enough to cause lead poisoning, causing anemia in children, sensory dysfunction, mental stagnation, severe convulsions, coma, etc. Even life-threatening. For adults, excessive lead can cause high blood pressure, which can easily cause cardiovascular diseases and can cause symptoms such as osteoporosis. As an essential plumbing appliance in daily life, the quality of the faucet is closely related to the quality of the water. Factory-qualified tap water is very likely to cause secondary pollution of water after passing through a poor quality faucet. The quality exposure from the sampling inspections in various parts of China shows that a large number of inferior faucets in the country lead to hidden dangers of lead. Long-term use of these inferior faucets is likely to lead to stones and even lead poisoning, especially for the health of pregnant women and children. Some experts pointed out that inferior faucets are as harmful to health as "melamine." â€œIn order to give birth to a lead-free faucet, I have invested a total of 700 million yuan, including more than 300 million fixed assets investment in production lines and factories, and 200 million inventories.â€ The founder of Suporâ€™s cookware kingdom is over 70 years old. The old entrepreneur Su Zengfu told reporters that in the four years of research and development of lead-free faucets, the company has done more than 2 million faucets, with a total value of 200 million yuan, but one does not sell. Su Zengfu believes that the quality of products is not as good as that of German manufacturing. The price is not affordable for the Chinese people. It is necessary to continue research and development and continue to improve. To this end, the company has scrapped the 2nd generation production line. â€œThe quality and technology of the products have passed the US CUPC and European EU certification, and the production cost is only half of that of foreign manufacturers. Our lead-free faucets are welcomed in North America and Europe, and the domestic distributors who come to consult are also in the market. On the day of the opening of the Xi'an store on May 26, the number of consumers purchased exceeded 3,000 sets and the sales reached more than 500,000.â€ Su Boer Marketing Director Liu Wei expects that the global output value of Supor lead-free stainless steel sanitary ware will be in the next 8-10 years. Breaking through 10 billion yuan. The data shows that the current lead-free faucet in the Chinese market is less than 21.2%. Under the market environment of increasing lead-free innovation pressure, China's lead-free faucet industry has great prospects. According to the data, only 304 stainless steel and other high-grade stainless steel materials can truly realize the lead 0 of the faucet. 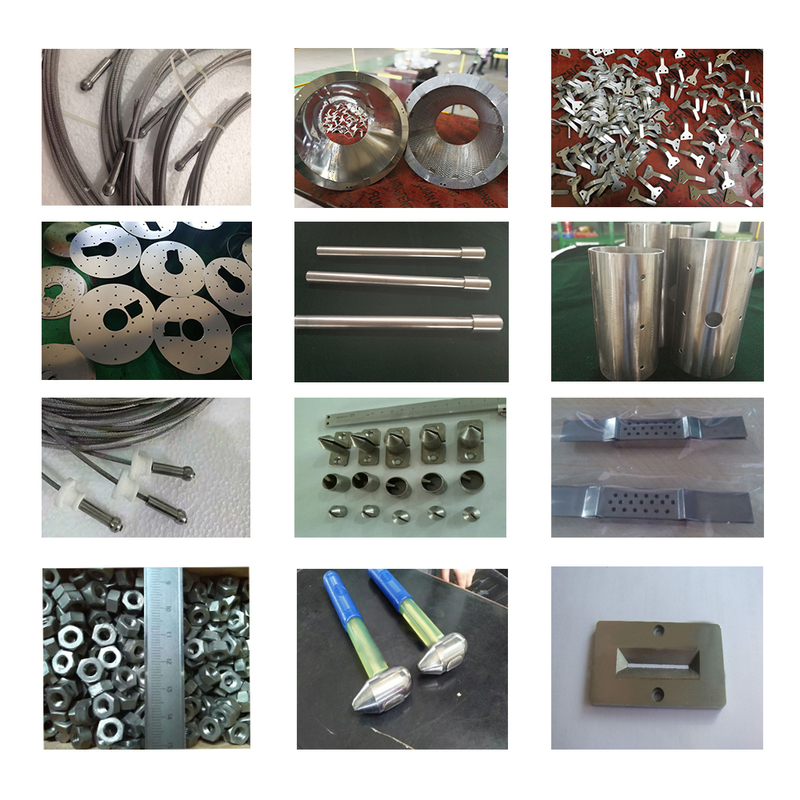 In processing, traditional processes such as electroplating cannot be used, so the manufacturing and processing of stainless steel faucets is very difficult, and it is a technical threshold for industrial upgrading of many traditional faucet companies. Baoji zhipu non-ferrous metal processing co., LTD., is a refractory metal export company, main processing single crystal furnace, vacuum furnace, sapphire, furnace, such as molybdenum, tungsten, tantalum, niobium, tungsten bars, tungsten, tungsten, tantalum, Tantalum Foil board, Tungsten Crucible, Molybdenum Crucible, Tantalum Crucible and so on temperature field instruments, pressure sensing device Tantalum Diaphragm of diaphragm, tantalum diaphragm, Tantalum Electrode, tantalum cathode and other parts processing, and use the most high-quality raw materials, equipped with advanced equipment and professional production team, can be customized according to requirements of various materials Tantalum Products , welcome to inquire, looking forward to your cooperation!